I can see you Mr.
Dimitrios (ATHENS, Greece) on 23 August 2013 in People & Portrait. 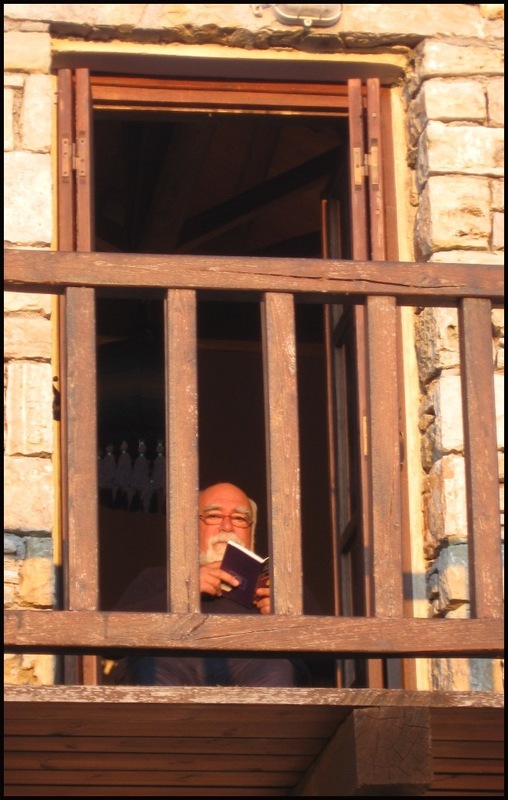 This kind looking gentleman was reading quietly in his house in Chora. Yes...we have to thank him too for being able to see this great portrait !!! Yes you have been spotted .. a great follow up shot! It's hard not to be spotted, another excellent photo. Tu es repéré :) Superbe. Bonne journée Dimitrios. Super portrait de cet homme e en train de lire au-travers du blacon de boius. Nice portrait, great frame and capture. Perhaps he wasn't as engrossed in his book as we thought. Great portrait ! Beautiful ! The click of your camera in the first shot, gave you away sir.